After seeing the growing progress in Syria's peace process, Chinese entrepreneurs are showing greater interest in the country's reconstruction, despite the obstacles. Since this past April, at least 30 Chinese have traveled to Syria looking for investment opportunities in the war-torn country, entering it from Lebanon. Their visit took them to Damascus and Homs where they were greeted by Syrian ministers and governors and could sit down and discuss possible projects. 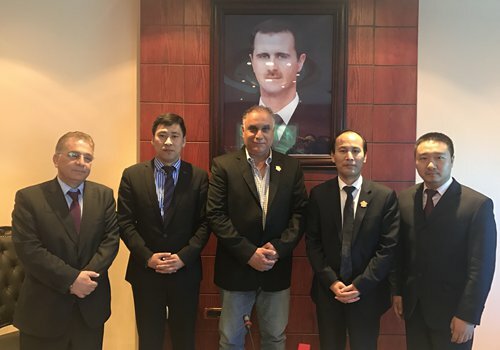 Qin Yong, vice president of the Beijing-based non-profit China-Arab Exchange Association who visited Syria three times on business this year, told the Global Times that most of the Chinese entrepreneurs come from the private sector, including import-export goods, food, power equipment and construction. "So far the Syrian government has controlled two-thirds of the country," Qin said. "Reconstruction already started in 2015 as the government battled opposition forces and the Islamic State on one front and began restoring infrastructure in safer areas. But while Russian and Iranian companies were already part of the reconstruction effort, Chinese enterprises had their doubts." 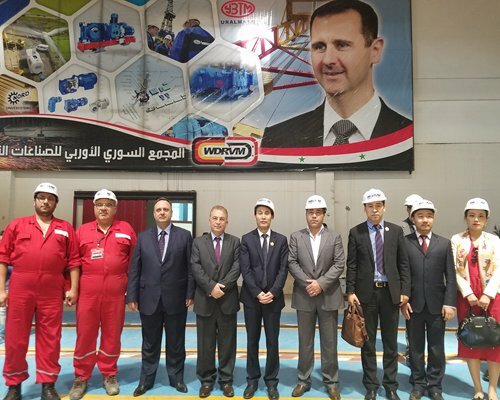 Qin went on to say, "Many had concerns before arriving in Syria but their impressions of the country were reversed by the end of the tour," then noted that a growing number of Chinese businesspeople are showing interest. 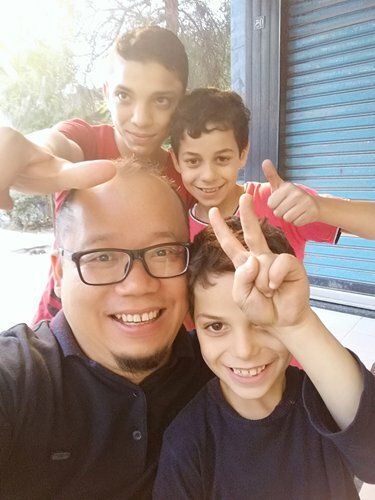 Zhao Hui, a businessman from Taizhou, Zhejiang Province, who traveled to Syria in August, told the Global Times that most of the areas he visited were peaceful and that the reconstruction presented a lot of opportunities. "Syria has great need of construction materials, such as glass, cement and steel," Zhao said, adding that he is also considering importing Syrian olive oil to China. Six years of war have seriously crippled Syria's economy, with total economic losses so far calculated at about $226 billion, according to World Bank estimates in July. Qin pointed out, "The upmost priority for Syria is to restore power and the government welcomes hydroelectric power and thermal power projects but these take time. What they need most is new energy, such as solar panels," then added that Chinese products have a great advantage in the area of price. Syria's Foreign Minister Walid al-Moualem said on Saturday at the UN General Assembly that victory was within reach in the country and that Damascus hoped de-escalation zones will help lead to a cessation of hostilities. 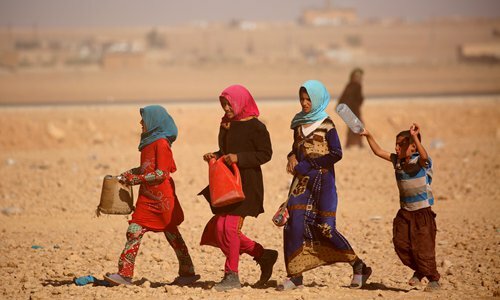 On Thursday, the Chinese government's Special Envoy for Syria Xie Xiaoyan said in Moscow that China is certainly willing and able to play an active role in rebuilding Syria, and that the government is taking steps to encourage Chinese companies to take part. Xie cited media reports that the rebuilding cost could run around $200-300 billion, but Qin put the figure at two or three times that amount, noting, "A major dilemma here is whether the Syrian government can afford the rebuilding work." The six-year war depleted the country's foreign currency reserves, with its oil fields mainly in the hands of opposition forces and the Islamic State, so, the country has had to rely on neighboring nations for oil supplies. Qin said that the Syrian officials have proposed using a third country as guarantor to borrow money, but there is still much work to be done in all areas. A lawyer from the Syrian reconstruction investment and legal affairs committee that was established by the Syrian Embassy in Beijing and Beijing's Jingshi Law Firm, Mao Wei, told the Global Times that Syria needs to revise its laws to attract investment and that earlier laws are strict in their investment criteria. In spite of this general optimism, Zhao, the Zhejiang businessman, said he is still worried about his personal safety and the financial transactions. "Syria is still under US and European sanctions, which makes it difficult for money to enter, meaning it needs to get rerouted through Russia or Iran. And that complication poses fund security threats," Zhao said.